The Bodleian Libraries’ summer 2018 exhibition revealed the life and worlds of J.R.R. Tolkien. Tolkien: Maker of Middle-earth explored Tolkien’s legacy, from his genius as an artist, poet, linguist, and author to his academic career and private life. Bibliothèque nationale de France in late 2019. The Bodleian Libraries, the largest university library system in the United Kingdom, houses the largest collection of original Tolkien manuscripts and drawings in the world. Writer and academic J.R.R. Tolkien spent most of his adult life in Oxford. He is renowned as the author of the classic works including The Hobbit, The Lord of the Rings, and The Silmarillion. 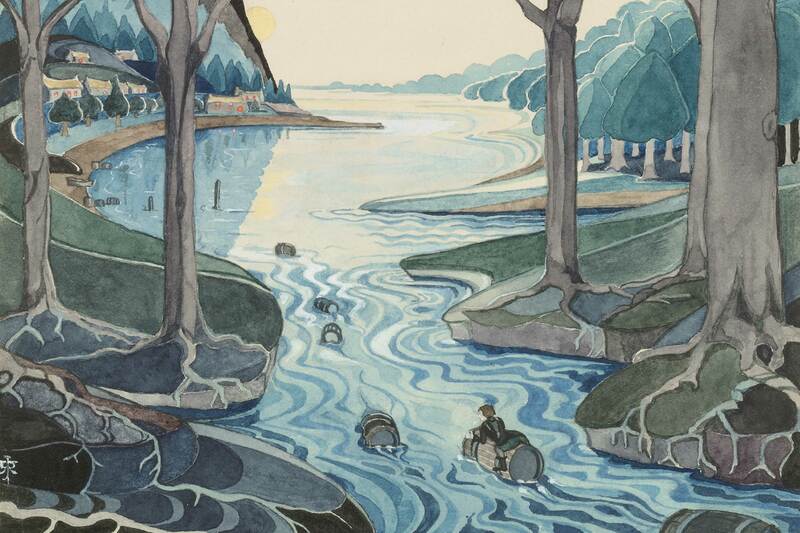 The Tolkien Trust, a charity established by Tolkien’s children, is a long-standing supporter of the Bodleian Libraries, especially in areas of its work which reflect Tolkien’s own literary and academic interests.